1 What is Software Engineering? Lets first figure out what Engineering is, then we will go to Software Engineering and then Bachelor of Software Engineering. Engineering is the branch of science and technology to find the problem and solve the problem. Engineering concerned with the design, building, and use of engines, machines, and structures. 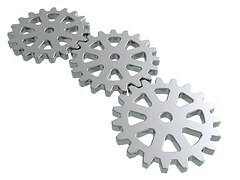 Traditionally, engineering is only about infrastructure, building bridges and engines – machines – vehicles. Engineering helps engineers to figure out how things work and find practical uses for scientific discoveries. In Latin, ingenium means cleverness andingeniare means create. Software Engineering concerned with the development, design and maintenance of software system. Software engineers find the customers need and develop usable software that meets the need of customers or users. Software Engineering constituent two words, Software and engineering. Software is collection of computer programs. And programs are executable code that perform certain task and written with some programming language. And we had already mentioned about the Engineering :). Software Engineering is application of computer science, engineering, and mathematical that analyze user needs design, develop and test so that it will satisfy the need. Any one who completes Bachelor of Software Engineering is Software Engineer. Software Engineering is systematic approach to the analysis, design, assessment, implementation, test, maintenance and reengineering of software. With the development of softwares for various purposes, many programs were written and many softwares were developed. Yet softwares cannot fully fulfil the need. In the same way low-quality software were developed to fulfill the need, without principle or finite standard. Thus to address the issues of low-quality softwares Software Engineering was introduced. Software Engineering focus on the development of softwares that can be reused, reliably, budget efficient, memory efficient, maintainable, timely and yet high-quality softwares. A software engineer, or programmer develop a software or change already written software to improve it and work as users need. High-quality softwares are easy to use and easy for maintenance process. Software Engineering applies the principle of engineering in development of softwares. By now we walk through Engineering and Software Engineering. Now we will go through Bachelor of Software Engineering, Which is an undergraduate academic degree which focus the students in the development of high-quality softwares. It an undergraduate academic degree. Undergraduate is also called as first degree, bachelor’s degree or simply degree. This is a term for an academic degree taken by a person who has completed undergraduate courses. It is the first degree in the university level. A Bachelor of Software Engineering is a four year (eight semester) degree. 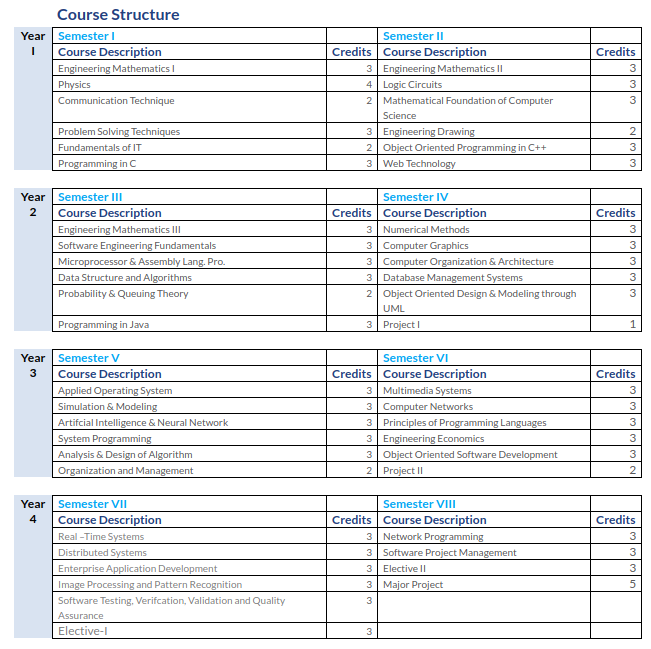 The course structure of first year of Software Engineering is similarly as of Computer Engineering, including some basic of hardware. It may be of Year system or Semester system. Semester technically means “six months”, but it is used to roughly mean 1/2 a year. In other words, there can only be two semesters in a year. As we already mentioned students of Software Engineering have strong focus on Software systems and data management all the courses are focused on fulfilling these requirements. Although the course title are different with respect to universities but here are some fundamentals which are included in most of all Bachelor of Software Engineering courses. Bachelor of Software Engineering is an undergraduate academic degree. The minimum requirement for joining this course would be Intermediate Education level, commonly known as inter college level or +2 level. Intermediate level is also considered as Senior secondary school. All other equivalent to this level in Science stream are eligible to apply for this course. Maths group as well as biology group can apply for this course with a minimum of 45% marks. For the grading system minimum of Grade C is required in all subjects. There is not restriction for the subjects on Intermediate / 12 level education. Fee structure are different according to universities also as well as individual colleges. For fee structure it is suggested to check the website of the specific college you want to apply for. Fee structure for Domestic student as well as for international students. Fee structure is vastly different based on the countries too. Course structure could be different between different universities and fee structures are based on such factors too. Scope is the thing to make. Out of top 10 high paying in the world 3 of them are Software development manager, Software architect and software Engineer. Also Software Engineering is the most loved / Wanted profession. Everything around us is digitalized. Softwares are now our daily basic needs. There are a lot of software engineers out there, but yet software could not fully fulfil the need of customers. There are thousands of problems to be found and to solve through writing softwares. Hundred of software companies starts every year and their only issue is “Could not find the developers with strong programming skills.” Many jobs get created in an increasingly IT-driven world. Software Engineers get suitable jobs such as Software & Quality Control Engineers, Development Managers, Applications Programmers, Analysts, Consultants, Software Architects, or Software Innovators. Students have great opportunity to start their own software based business as well. In Nepal, Bachelor of Engineering in Software Engineering (BE Software) is a 8-semester course of study. This degree is provided by Pokhara University. The course Structure mentioned above is the course structure of Pokhara University. The degree is awarded to those who successfully complete a eight-semester program. In Nepal there are only 2 Colleges providing this Software Engineering degree Namely:- Nepal College of Information Technology and Gandaki College of Engineering and Science. Now Software Engineering is available on Center college too. So there be total of 3 Colleges. Pokhara university also provide scholarship for Software engineering therefore check Pokhara University Scholarship Everything you need to know. Learn more about Bachelor of Software Engineering in Nepal. Pokhara University has started Software Engineering program in Central college School of Engineering (Pokhara Lekhnath -26, Bijayapur). Total seats of 48 students are available out of 48, 39 seats are for paid students whereas remaining 9 seats are for Scholarship Students. In India, Bachelor of Technology in Software Engineering (B.Tech. Software) is a 4 year course. Admission process is based on entrance exam by IIT-JEE (Indian Institute of Technology – Joint Entrance Exam) and other institute based tests. For advance level of course M.Tech Software Engineering is available in India. Bachelor of Software Engineering is a Engineering focused on development of High-quality softwares to solve the problems of customers. First year of this degree is similar to the Computer Engineering which focus on some computer fundamentals. Depending upon country and university Software Engineering Degree is of 4 years (Also 3-year exists) or 8 semester. Course Structure are focus on Software systems and data management. High paying job opportunity. Hello Bajgain, Thank you for reaching. Technically our information was not wrong. Minimum of 45% is required in most of Software Engineering program. Roughly 40% is equivalent to Grade C.
which campus is better to study computer engineering? Hello Utsav! For Computer engineering, Go with 1. 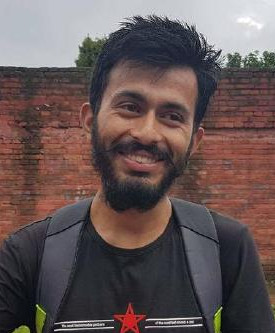 Kathmandu University 2. Tribhuvan University and any Other. Syllabus are closely related. Any University would be Okay.